The advancements in clipper ship design in the late 1830s made it possible for trans-Atlantic travel in less than a month. 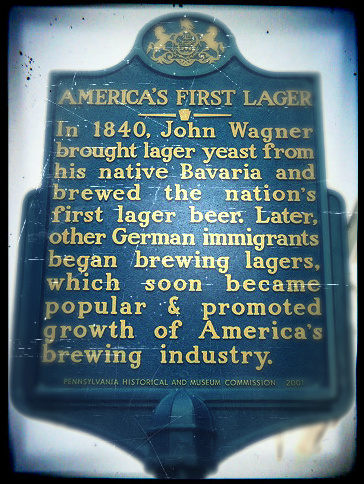 Thus, it became possible for delicate bottom-fermenting lager yeast to survive the journey from mainland Europe to the U.S.
Bavarian brewmaster John Wagner arrived in Philadelphia in 1840, bringing with him yeast to brew the first lager style beer in America. Wagner began brewing at his brother-in-law’s small home brewery on St. John Street near Poplar in the Northern Liberties section of the city. Wagner’s operation was a very small one, as he utilized an eight barrel brew kettle suspended over an open hearth. He stored the beer in a cellar beneath the brewery. In contrast to thicker, murkier ales that they had grown accustomed to drinking, Americans discovered what Germans and other northern Europeans had known for centuries. They found lager beer to be a crisper, more effervescent and thirst quenching drink, perfectly suited for the American climate. The popularity of lager beer grew rapidly through the 1840’s, as use of the yeast spread from Philadelphia brewers to their counterparts in New York City, Pittsburgh, Buffalo, Cincinnati, Chicago, St. Louis and elsewhere. Lager was first brewed in Wilmington, Delaware in 1850, a year before it arrived in Milwaukee. 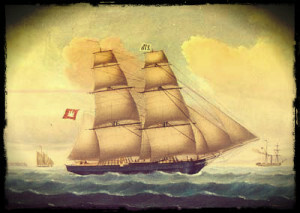 A revolution in brewing was under way that would transform the industry. By 1860, more than a quarter of all of the beer brewed in America was lager. 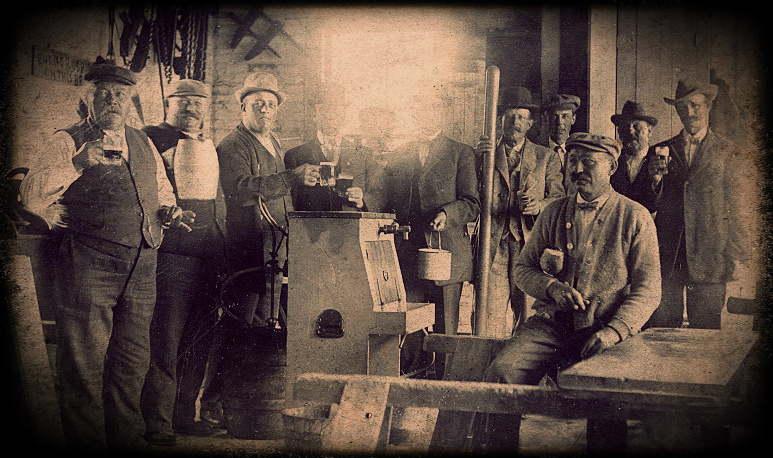 Because lager yeast ferments at colder temperatures, early lager brewing was initially limited to the winter season. The introduction of artificial ice and, later, mechanical cooling systems and other technological advancements increased the brewers’ production season, allowing them to meet the ever-growing demand for lager beer. As the population of the United States greatly expanded throughout the remainder of the 19th century, so did the number of breweries, specifically lager breweries. In Wilmington, which was the population and brewing center of Delaware, three large breweries dominated the local industry from the Civil War era until the implementation of National Prohibition. Delaware’s “Big Three” were the Diamond State Brewery (at Fifth and Adams streets), the Bavarian Brewery (at Fifth and DuPont streets) and the Hartmann & Fehrenbach Brewery (at Lovering Ave. & Scott St.) By the turn of the century, brewing was the sixth largest industry in the Delaware and its allied businesses (bottling houses, liquor retailers, saloons, hotels, restaurants, ice dealers, etc.) accounted for hundreds of more jobs statewide. With demand for the product high throughout the pre-Prohibition era, there was room for several other smaller and, ultimately, far less successful brewing companies to operate in the state.